The new science of epigenetics and the role of perception and belief in attaining optimum health underpin this comprehensive study. 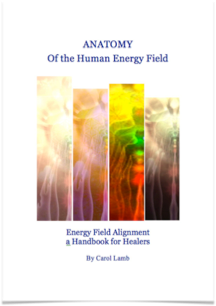 The handbook explores the anatomy of the physical body and the subtle energy systems, explaining the interface linking chakras and meridians to the cellular matrix. It offers guidelines through which causative factors can be identified and traced, drawing upon anatomy, physiology, technology and body therapy. Energy Alignment techniques are explored and the reader is introduced to cellular memory and body/mind consciousness and the means by which causative factors in energy field disruption and displacement can be identified and traced.